No serving of ice cream is complete without these Joy #30 cake ice cream cones! Family owned and operated since 1918, Joy is an old-fashioned favorite that continues today as the leading ice cream cone company. From mixing the batter to the baking process, quality and great taste is ensured with each and every Joy cone. These cake cones are made with a combination of three flours: pastry, cake, and tapioca. 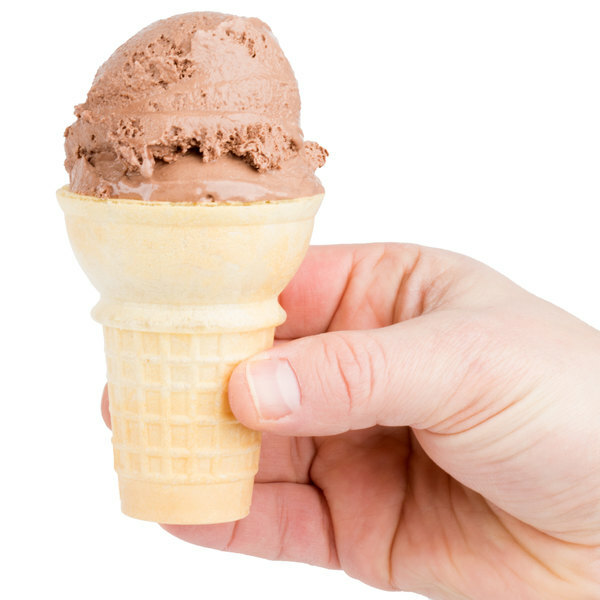 This combination produces a lighter, flakier cone with a subtly sweet taste that does not overpower the ice cream. 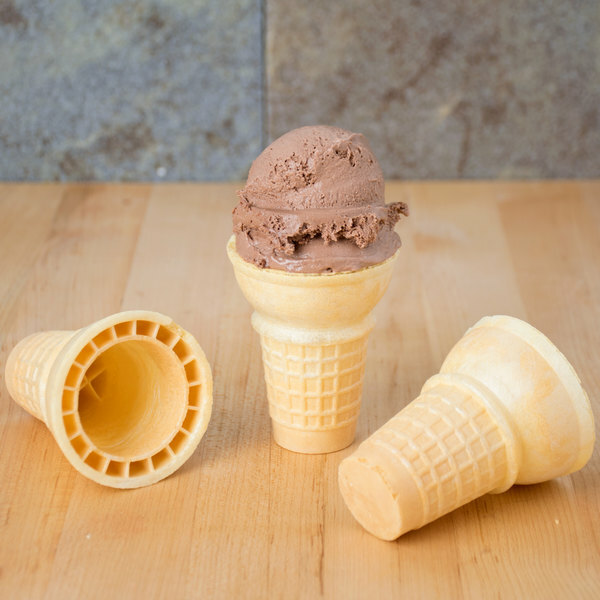 The fresh, crispy, crunchy taste of these cones will tempt your customers to order another ice cream scoop! 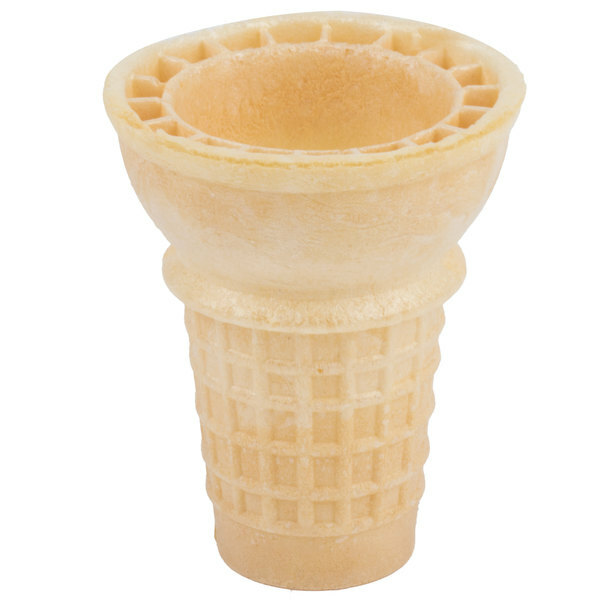 Made with no artificial ingredients, these cones feature a classic, rounded cup shape and flat bottom that's great for showcasing soft serve or hand scooped ice cream, frozen yogurt, or custard. 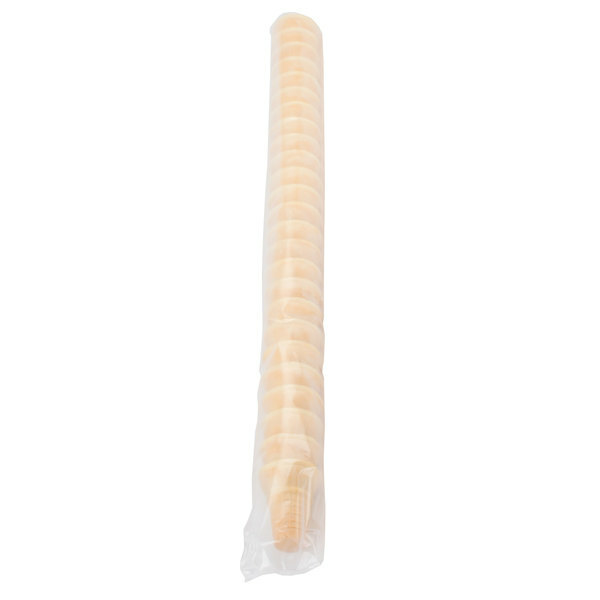 They are wrapped in either wax paper or machine-sealed film to provide tamper-evident packaging that extends shelf life and ensures a fresh, just-baked taste. The best ice cream cones. They don't break too often (once in a while is unavoidable if being handled too hard) and the taste is delicious but doesn't overpower the actual ice cream. A wonderful size cake cone that is perfect for our hand dipped ice cream shop. 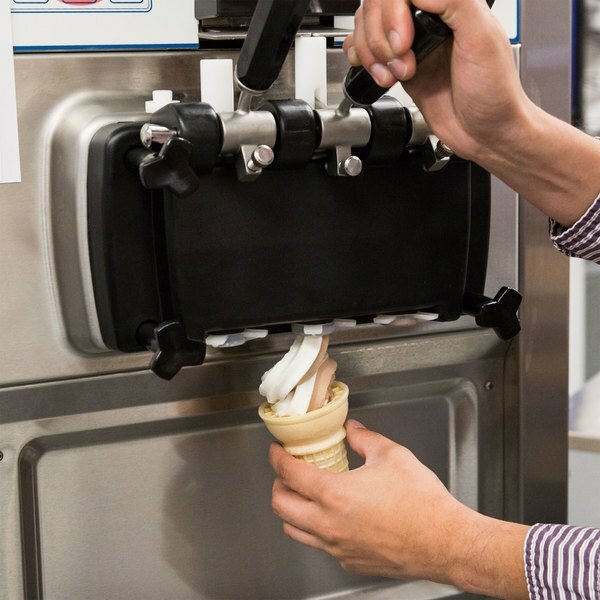 The cone is sturdy and is great for double scoops. Very good cones. a few of them may get broke by being shipped but over all it is a great deal and they are fresh! I was excited to receive these cute cones for kids for our gelato store . We received them today but they were broken :( Very disappointed as we will not be able to use them. Thank you for the review! We'll take care of this for you. A Customer Solutions Representative will contact you shortly! These cones are just great! Reminds me of when I was a kid. Perfect size for kids and adults it's the simple things in life. Our customers love them very tasty definitely a two thumbs up! These are the number selling cones in our shop. Both adults and children cannot get enough of them. I love the light and flakiness of these cones! I gave these 5 stars. Pretty much everything you expect from an ice cream cone. Our first order was all broken but the item was replaced promptly. these joy 30 cake ice cream cone - 750, thay are nice in size, and thay come perfact and fresh, and you cant beat the price. These cones are a nice size and always come whole and perfect and fresh. Can't beat the price either. This size is a staple in our ice cream shoppe.